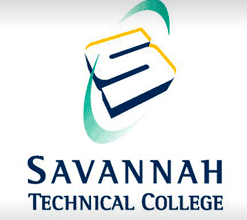 Savannah Technical College honors veterans throughout the year with services, scholarships, workshops and grants. One in four STC students is a veteran, active duty service member or a military dependent/spouse. Two U.S. Army veterans are currently enrolled in the first semester for the on-set film production assistant program with the Georgia Film Academy at the College. Both look forward to working on-set in the spring for the internship half of the program. Veronique Dupree, a 68M, is a nutrition care specialist, who had an interest in film making before going into the military. She hopes to improve her camera handling skills, so she might open a photography/videography business on the side. In April she will have served two years and is an active-duty veteran. Kevin Manning, a former 98G, was stationed as a linguist in 1987-88 at the U.S. Army Defense Language Institute in Monterrey, Calif., learning Farsi. He has worked in the film industry before as an actor, stuntman, wrangler, driver and extra. The most difficult part of the program for Manning is deciding what he wants to do. He says he’s in the right industry to do it all. Manning likes that both he and his daughter will be able to get an education and then a job upon completion. He advises others who may be slightly order than traditional college-age students to apply. The projected film industry growth in Georgia during the next three to five years will generate 3,000 to 5,000 new jobs, and the average earnings for jobs on set are $84,000 a year. That’s why Georgia has launched the Georgia Film Academy, a unique-in-the-nation, statewide initiative to prepare Georgia citizens for these high demand careers. Georgia Film Academy students, who are eligible for or receive HOPE Grant funding, may also be eligible for funding from the HOPE Career Grant. For more information visit: www.savannahtech.edu/GA-Film. The Georgia Film Academy will hold information sessions for spring semester at 6 p.m. on Thursday, Nov. 15 and at 10 a.m., on Saturday, Nov. 17 in room 7126 at the Savannah Technical College Savannah Campus.